"Old Age homes are civilization's dumpsites for human beings who it cannot exploit further." The size of the elderly population has risen from 12.1 million in 1901 to 19.8 million in 1951 to 76 million in 2001 to 100+ million in 2015 and official population projections indicate that the number of 60+ in India will increase to 143 million in 2021 and to 198 million in 2030. 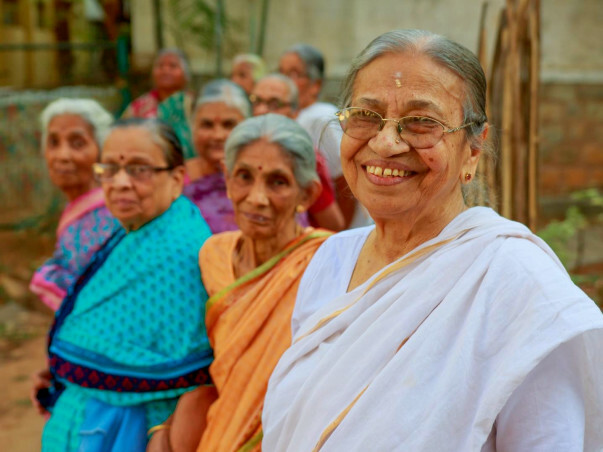 By 2050, according to the United Nations Population Division (UNPD), India will host 48 million seniors over the age of 80 and 324 million citizens above 60, a demographic greater than the total U.S. population in 2012. The boom is largely being ascribed to improved life expectancy outcomes, which have shot up from 40 years in the 1960s to 68.3 years in 2015. While the overall population of India will grow by 40% between 2006 and 2050, the population of those aged 60 and above will increase by 270%. With the steady increase of old persons the magnitude of their problems is also increasing. Problems manifest in the form of abuse and violence against the elderly. According to an estimate nearly 40% of senior citizens living with their families are reportedly facing abuse of one kind or another, but only 1 in 6 cases actually comes to light to uphold family honor. Can you imagine that the primary abuser is usually the son followed by the daughter-in-law. Consider this, out of every 10 elderly couples in India, more than 6 are forced by their children to leave their homes. With no place to go and all hopes lost, the elderly have to resort to old age homes, which do not guarantee first class treatment. Arranging recreational activities such as Gardening, Exercise like Yoga, Picnics, Spiritual Sessions, Laughing Sessions, Food Festivals, etc. General health check-up, Essential healthcare, Crucial medicines and Medical accessories.